I can’t believe 5 years have passed since I last wrote. I’ve still got my husband. I’ve also got a mortgage. And I’ve decided to write about it. Come visit me at www.littlebrownmumma.wordpress.com! I’ll leave the LBB blog up, but you’ll find current content on my new site. Club Monaco finally has COLOUR in its most recent collection! I love the flow and feel of Club Monaco clothes, but the drab colours from the past several seasons washed me out and depressed me; but, now they’ve got red, burgundy, navy blue, and even rust!! Yeehaw! 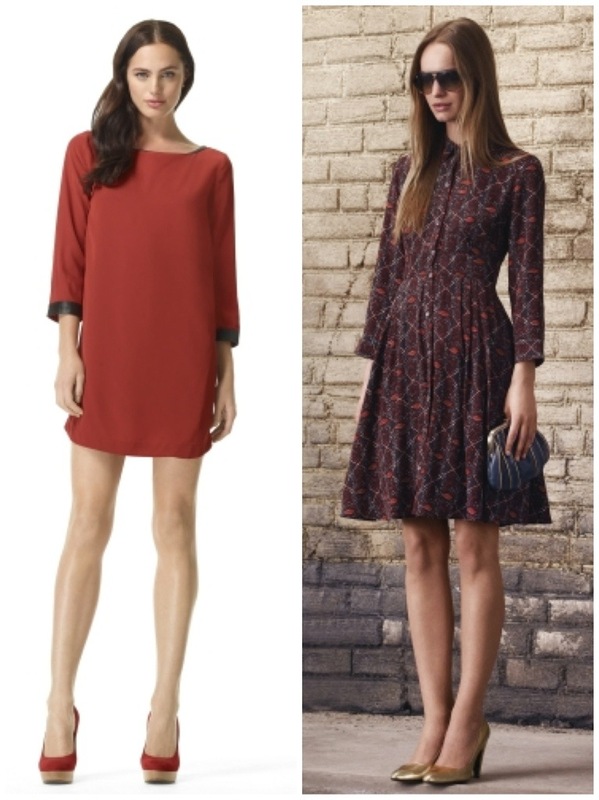 Below are some of my fave dresses. These are super versatile…with funky stockings, heels or cute booties, and oversize clutch, these would make the perfect night on the town outfits or perfect wedding event dresses (e.g., bridal shower, low key engagement party, bachelorette dinner, etc.). Or paired with leggings, boots, and a blazer, they would be perfect and comfy for work! 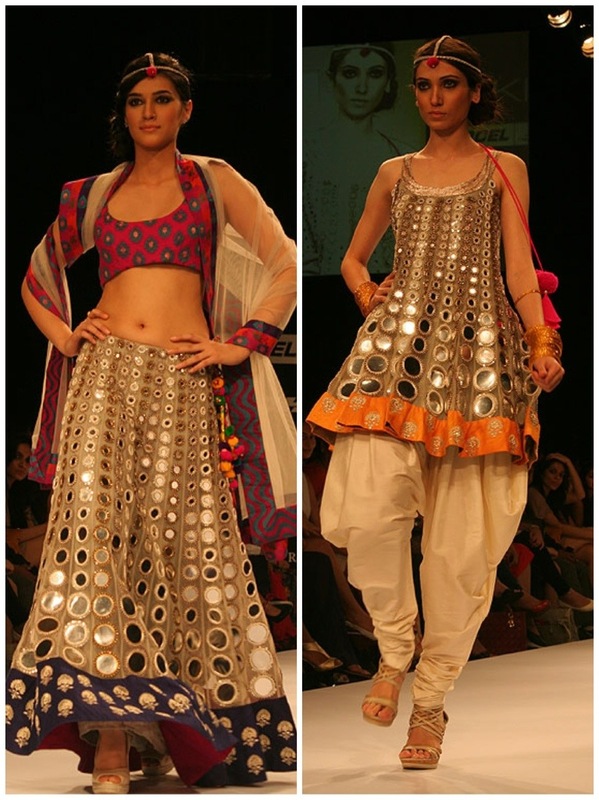 Payal Singhal’s recent collection is full of unique, gorgeous patterns and designs. 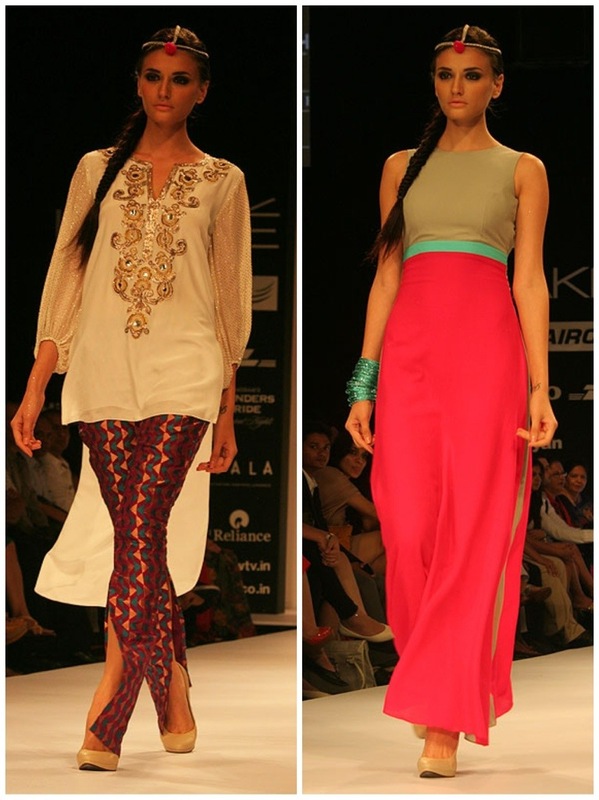 They are perfect additions to the South Asian fashion wardrobe for a woman looking for stylish clothes that break the mould of traditional designs. I want them all. Thank you to Deepal from Peepul Consulting for these pictures. Gold & silver can never go wrong. All images from Satya Paul’s Facebook Page. 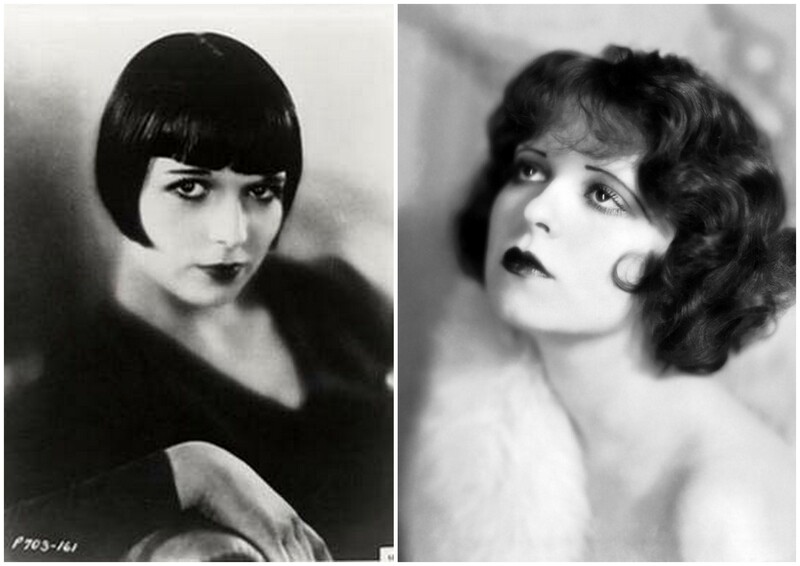 The pics of Clara Bow above epitomize the beauty of the flapper girl: think smokey eyes, dark, bold lips, statement hair, and pearls. 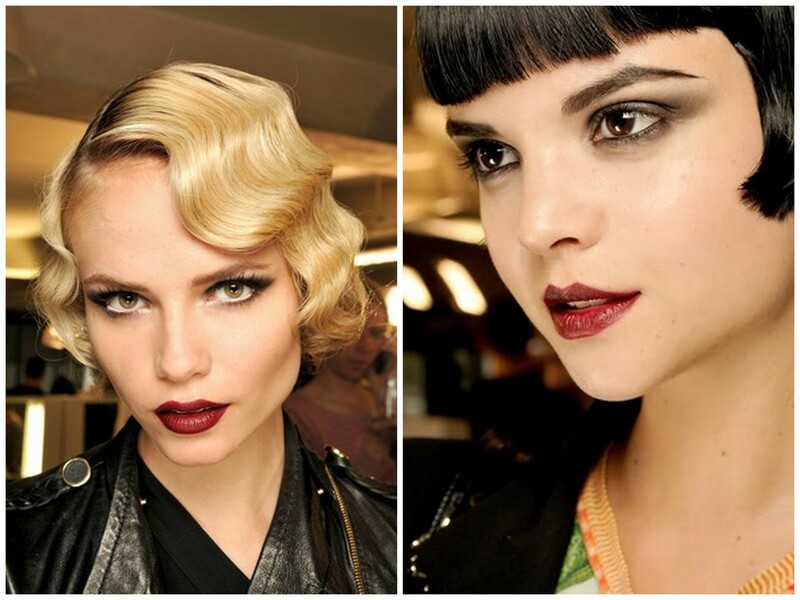 The two looks below are perfect examples of modern interpretations of 1920s/1930s glam. 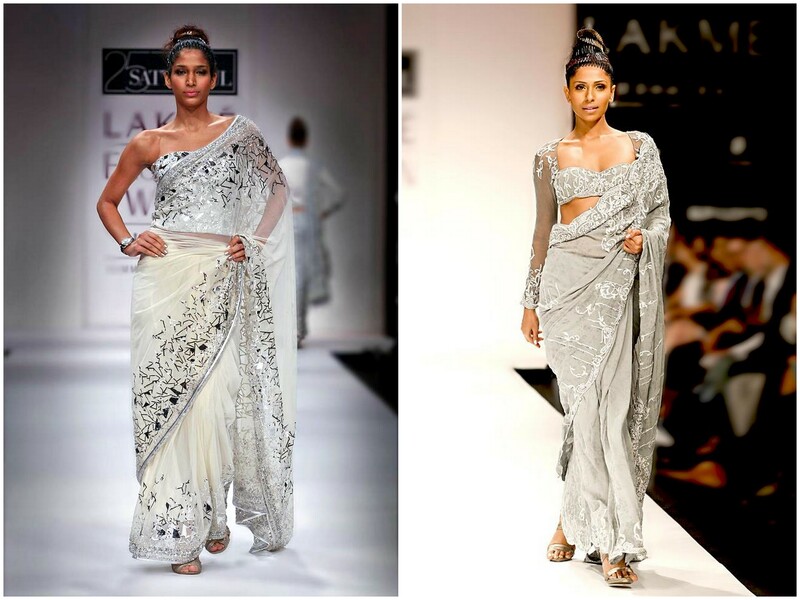 Wouldn’t these looks be great for an engagement shoot or even the reception? For a South Asian take on the art deco look, look no further than an incredible shoot by Jade Studio Productions. 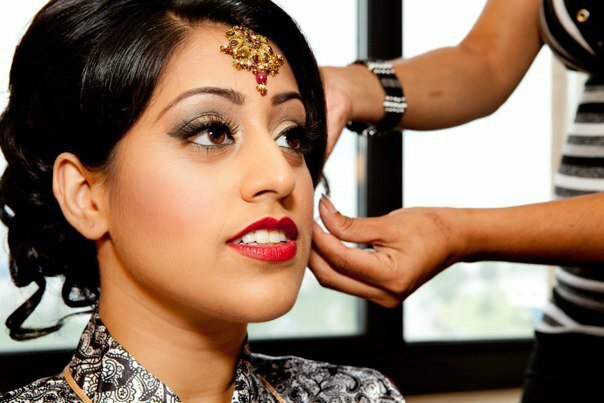 When I first saw the pics on Asian Wedding Ideas, I could not stop drooling–what a perfect meld of art deco style and South Asian bridal beauty!! 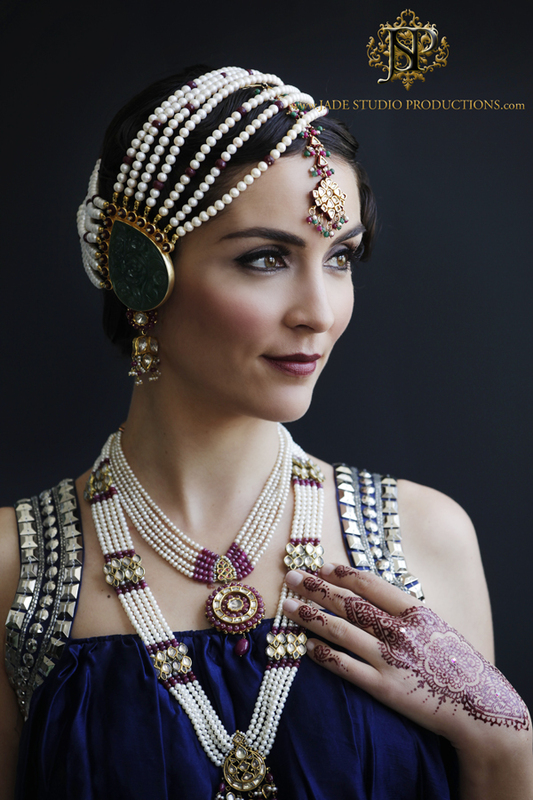 All the elements are there: the dramatic headpiece, the pearls, the smokey eyes, and the ruby lips. Love, love love. The original style queen meets the modern style queen. Sorry for the silence, folks. Been super busy at work and subsequently super tired. Posts reviewing The Wedding Co. Show and new wedding magazines (Lavish Dulhan and The Wedding Co.) are in progress, as are posts exploring Art Deco wedding fashion and beauty inspirations and posts featuring up and coming photographers. To continue my discussion on Art Deco inspired colour schemes, today’s post will focus on the elements and details you can incorporate to continue the Art Deco theme in your wedding decor. 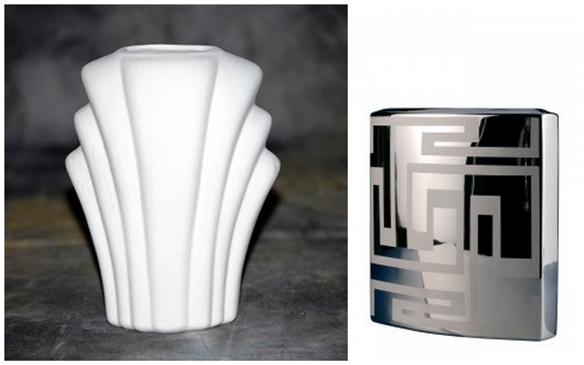 For a successful Art Deco look, I think it’s important to emphasize two elements: geometry and romance. 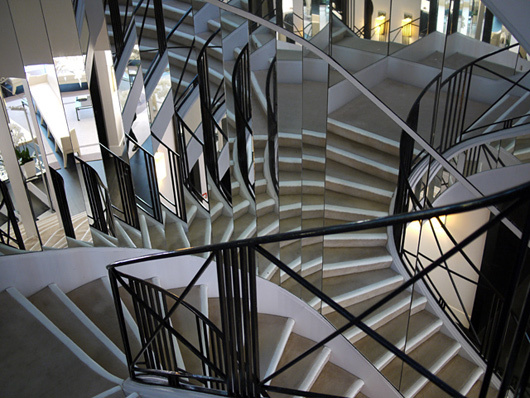 Both balance each other out: romantic elements soften harsh geometric lines, and geometry anchors the romance. How does this translate into real life? 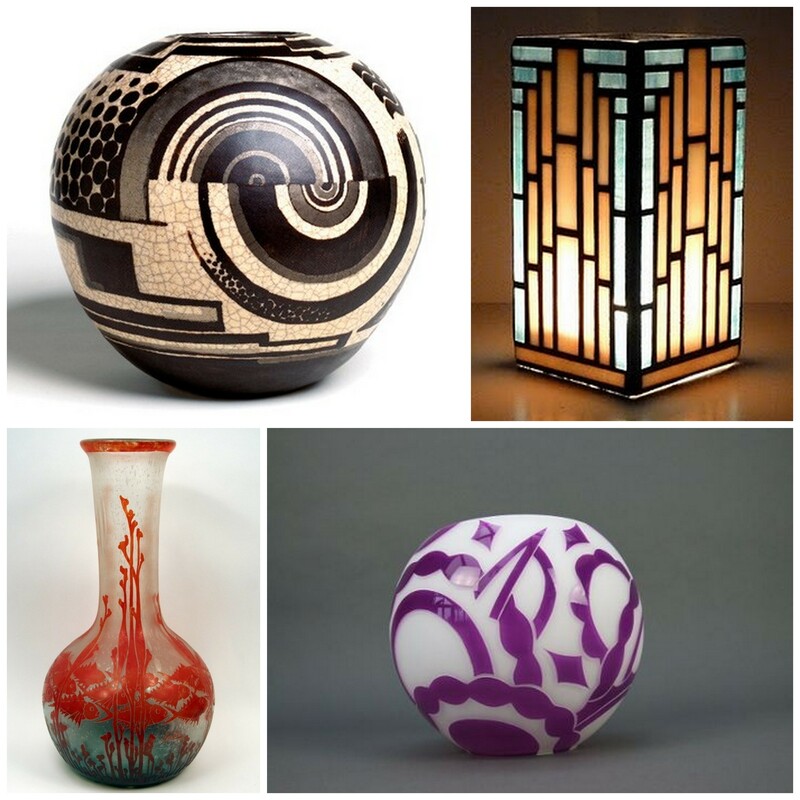 Geometric elements include the more “masculine” aspect of Art Deco: architectural inspirations; strong patterns; sharp, repetitive shapes and lines; mirrors; chrome; and black lacquer. In contract, romantic elements include feminine touches, such as light colours, brushed gold, bronze, curves, texture, pearls, and flowers. 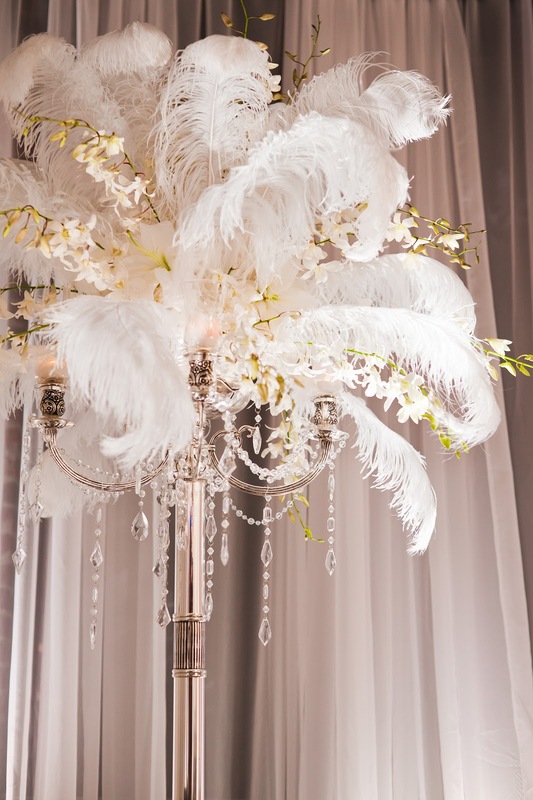 Centrepieces can also represent the style in many ways. You could take inspiration from the NYC skyline that is peppered with Art Deco buildings (think Empire State, Chrysler, Rockefeller Centre) and incorporate architectural elements into your centrepiece by using different sized vases with soft floral arrangements. Maintaining a strong pattern via geometric table cloths/runners or contrasting colour combinations are additional means of subtly infusing art deco. Typography, fashion, and beauty inspirations to follow (soon)!